Secure Logic's founder and managing partner, Santosh Devaraj, has been named in a legal battle that began when the company launched proceedings against two former executives over alleged contractual breaches. On 15 June 2016, the Sydney-based managed information security services provider initiated legal proceedings in the NSW Supreme Court against two former employees, Paul Noble, the Secure Logic Group’s former COO, and John Pankhurst, the company’s former business development manager. 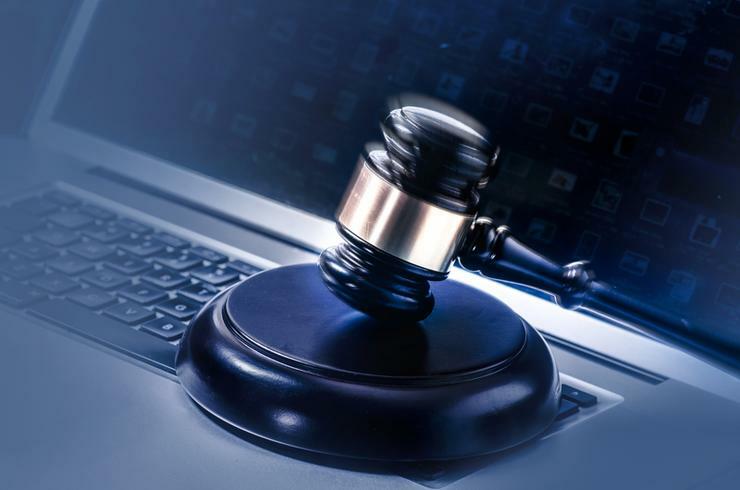 In its legal action, Secure Logic alleges that Noble and Pankhurst misused and disclosed confidential business development information, including sales proposals, customer reports and pricing information. It also alleges that Pankhurst was knowingly involved in, and “induced”, Noble’s breaches. The action calls for a permanent injunction against Noble and Pankhurst using or disclosing Secure Logic confidential information. ARN understands that on 17 June 2016, the Supreme Court granted temporary injunctions against Noble and Pankhurst. It is understood that the decision came almost a year after Noble commenced employment with Secure Logic, as its COO, a role that would see him based in Singapore and Malaysia. Court documents indicate that the position saw Noble charged with functioning as Group COO and delivering on the company CEO’s plans to expand in Asia, including establishing a cyber security operations centre in the Malaysian capital, Kuala Lumpur. Secure Logic claims that shortly after Noble commenced his employment with the company, he allegedly entered into an employee non-disclosure agreement with the company. It is understood that in May last year, Noble considered his employment terminated due to breaches of contract. Shortly after, it is alleged Secure Logic suspended Noble’s employment. It is understood that Noble’s official employment with the company ended when court proceedings began in mid-June last year. Sources suggest that Noble advised Secure Logic of alleged contractual breaches on its part in May, just before proceedings kicked off. Pankhurst, meanwhile, was managing director for Plush Hosting, which was acquired by Secure Logic, according to court documents, a move which saw him come on board as the company’s business development manager -- a role in which he manage the accounts of his existing customer-base for the Secure Logic Group of companies. Sources indicate that the initial legal proceedings came after Noble advised Secure Logic of the discovery that his former employer's personnel had accessed and changed his personal online accounts and data. However, this has not been confirmed. In its legal action, Secure Logic alleges that a document created by Pankhurst containing Secure Logic’s and Plush Hosting's customer contacts, obtained from the company’s internal customer relationship management (CRM) system, was accessed by Noble. It is also alleged that Noble provided certain "information assistance" to John-Paul Burgess, services director at cloud security player, FirstWave, considered to be a competitor of Secure Logic. As a result, Secure Logic’s case broadly revolves around the allegation that Noble and Pankhurst both breached the obligations of their non-disclosure agreements with Secure Logic. Noble and Pankhurst refute the allegations. Defence documents lodged with the Supreme Court of NSW claim that Noble’s non-disclosure agreement with Secure Logic had no force or effect after as to the “terms upon which any disclosure of confidential information” was made. Pankhurst, meanwhile, has since denied any knowledge of downloading the specific file containing commercially sensitive information, as alleged by Secure Logic in its legal action. Late last year Noble and Pankhurst initiated cross-claims against Secure Logic, seeking damages for alleged breaches of contractual obligations owed to them by Secure Logic. It is understood the action was launched as soon as the court would allow.